From Shiprock Trading Post out of Farmington, New Mexico. 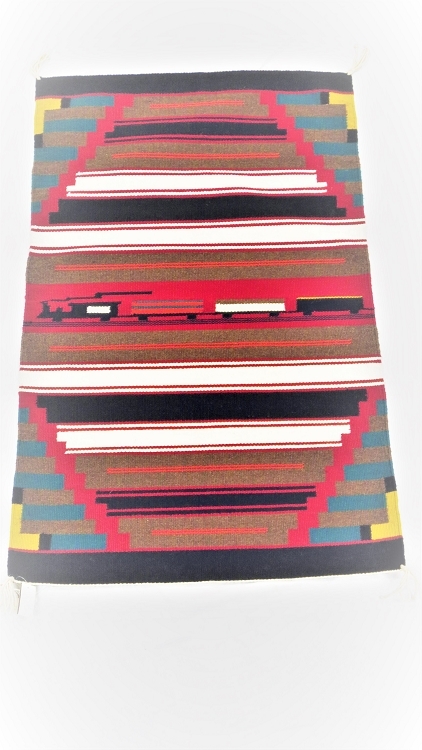 Genuine Indian Hand Woven by James Joe. Rug #MLJ234.